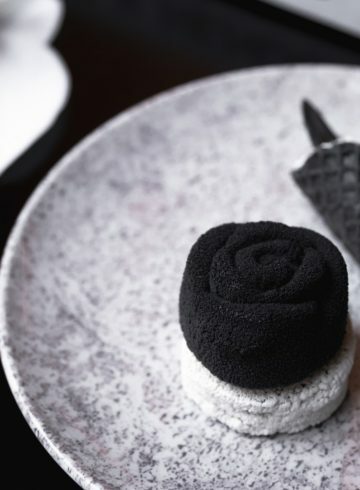 A contemporary space, elevated on Sofitel Melbourne On Collins’ Mezzanine Level. The angled intricacy of a webbed ceiling and the welcome advantage of natural light adds even greater dimension. 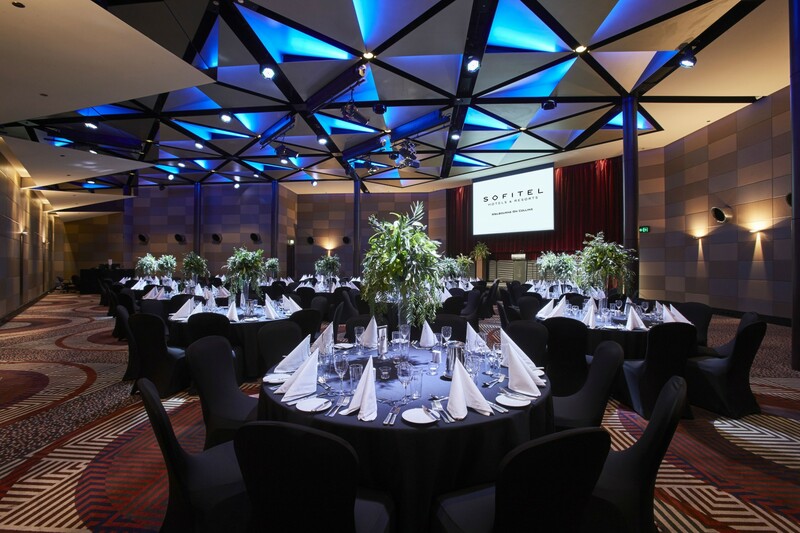 State of the art audio visual places the spectacular LaTrobe Ballroom for 350 theatre style in a league of its own. Custom lighting conveys a different mood and personal touch for intimate banquets of 250. 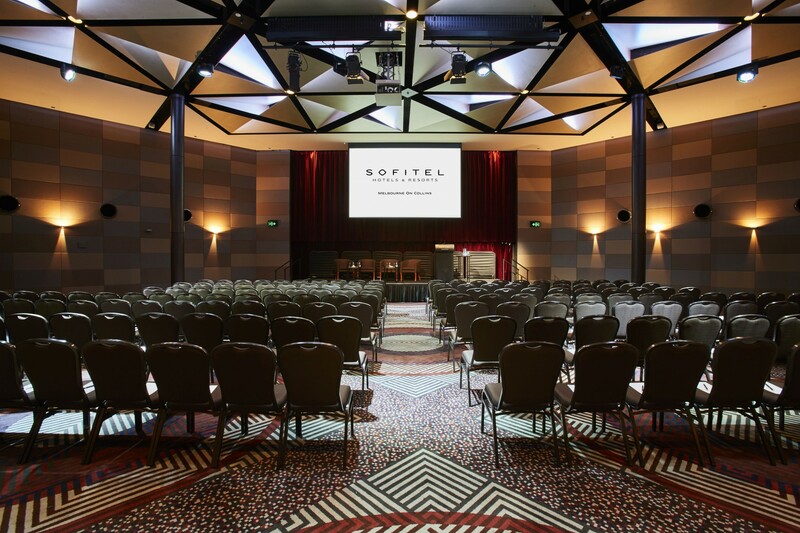 Audio Visual Dynamics (AVD) is the in house Audio Visual partner of Sofitel Melbourne On Collins. 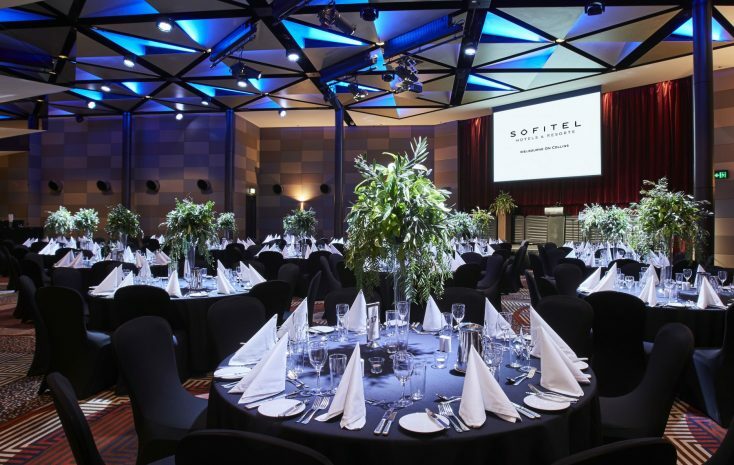 Please note, venue hire does not include any Audio Visual equipment or services. 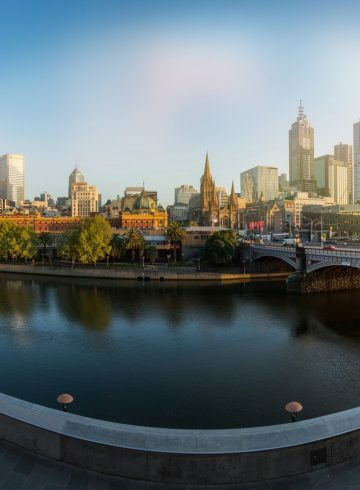 Discover Sofitel Melbourne On Collins’ current hotel accommodation, restaurant and high tea special offers.